PCDJ KARAOKI is a karaoke hosting software designed to work as a stand alone solution or in conjunction with PCDJ DEX and PCDJ RED MOBILE. When installed as a plug-in, an additional Karaoke player with secondary video output can be launched, allowing the user to switch and interact from DJ to Karaoke mode easily. Complete with an on deck singer list, key control, news ticker, a library printer, and many other features the pro KJ's need. PCDJ KARAOKI uses MP3+G, WAV+G, and most zipped mp3+G/wav+G formats. So, there's no more need to lug around CDGs or heavy Karaoke gear. It's all stored within your PC's hard drive, making karaoke performance faster and lighter. 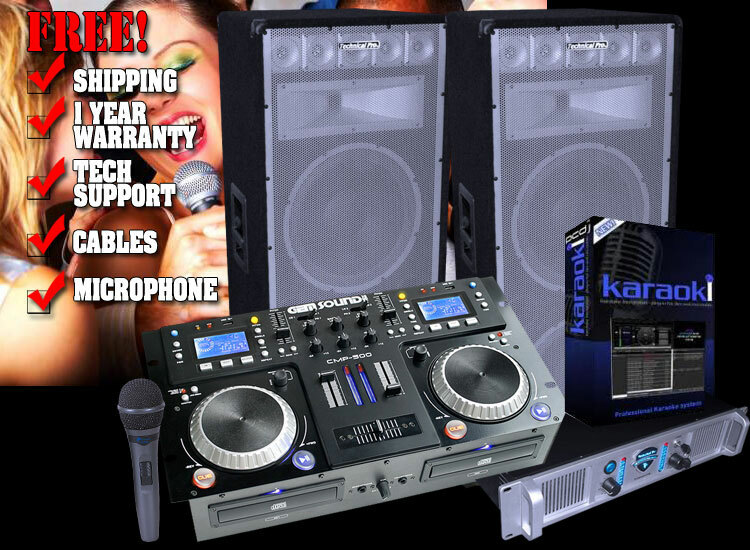 PCDJ KARAOKI is a high performance professional Karaoke product that is ideal for the working DJ/KJ to the Karaoke enthusiast. Enhance your karaoke show with this simple yet powerful player that sets the standard in karaoke performance for the 21st Century. 'New Show' option on rotation menu, this clears the rotation, history and singer lists but not singer database. 'Times Up' counter to the singer Db. Stand-alone or plug intoDEX or Red mobile. Updated trackbar and vu meter. Drag 'n' Drop loading and Rotation re-ordering. Uses DEX / RED Mobile ASIO compatible audio engine.